I've driven through Boone once or twice but rarely made it North from the main intersection with the freeway or the Dutch Bakery on the South edge of the downtown area. 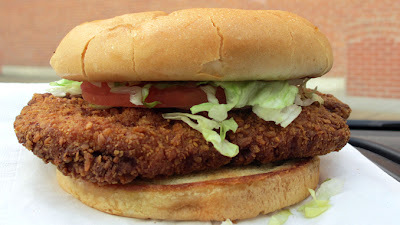 The Legal Limits won an honorable mention in the 2011 Best Tenderloin Contest held by the IPPA. This meant I had to drive up north of Mamie Eisenhower to check this bar out. 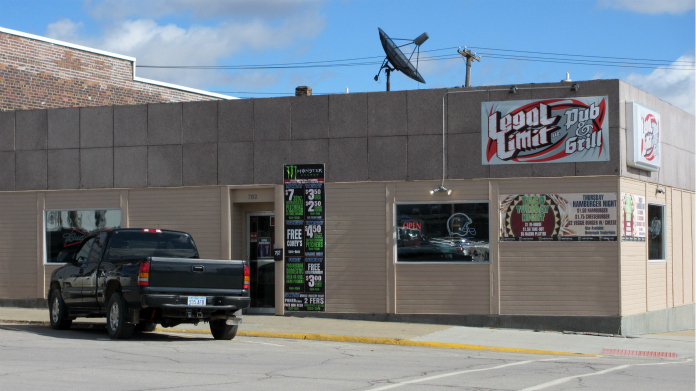 Location: 702 Allen St in Boone, Iowa, about an hour drive north and west from Des Moines. Directions: You drive up Story St from the 4 way stop on Highway 30, through downtown, and turn right on Allen St. 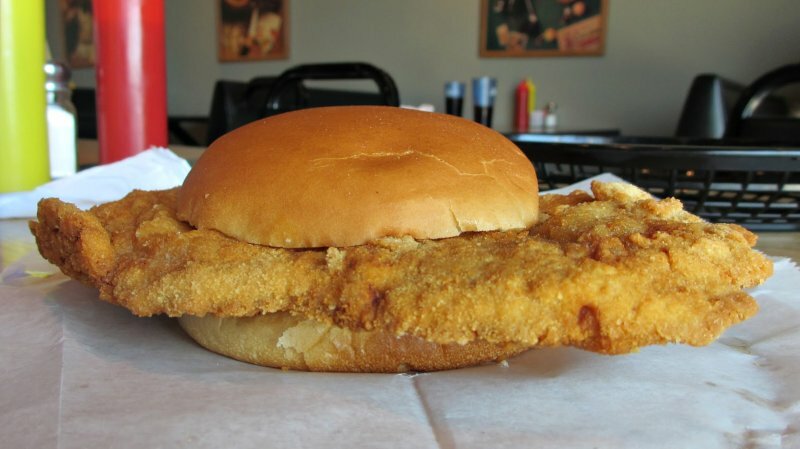 The Tenderloin: This tenderloin combined the giant crunchiness and moist softness that many purveyors strive for. 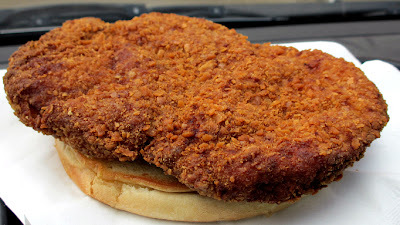 The breading formed a hard crunchy and salty layer above the meat that took a delicious dark brown hue. The pork loin was thick and juicy, consistent throughout and well trimmed of fat. Served on a giant buttered and toasted bun with your choice of fixins. Overall 8.2 out of ten. Price: $8.25 in a basket with a side, I went with the seasoned waffle fries..
Also on the menu: There is a full breakfast menu in the morning, then later burgers, fried snacks, sandwiches, and an Over The Limit Burger. They added some gigantic burger eating challenge recently. Service: The bar area is small with a register for takeout. Its table service for the rest of the dining area. Things just were not happening very quickly during my two visits. Ambiance: This is a dive bar in every way. The plastic furniture, the outdated beer signs, the video games, the graphic posters from the drink distributors covering every empty inch of the interior. Final Thoughts: Sometimes you can't judge a book by its cover. The Legal Limit looks like an absolute dive with the tackiest decorations and worst furnishings of almost any place I've visited. The tenderloin is the best I've found in the Boone area. Its worth stopping in, even if you don't want to stick around for long. Is there any single tenderloin place more legendary than the original Joensy's in Solon? 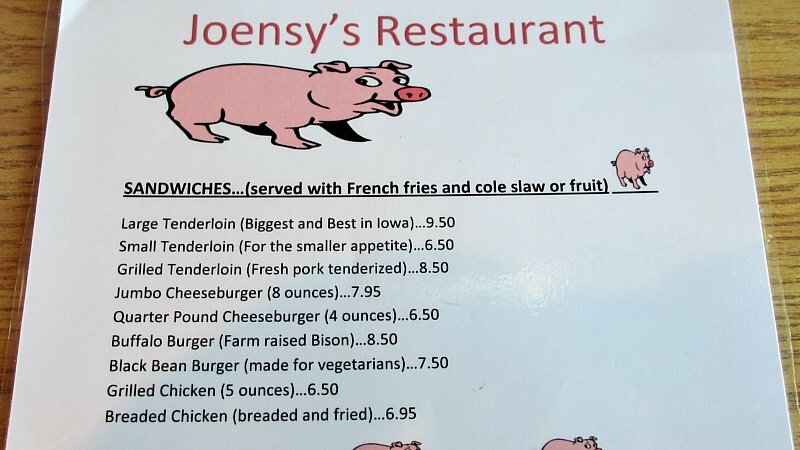 These people had been promoting their claim to the Biggest and Best Tenderloin in Iowa for as long as anyone can remember. The other locations have been thriving for years in Cedar Rapids and Center Point, operated by members of the Joens family. The old location was a true small town dive that I always had on my list of places to visit eventually. Its closure came as a surprise, I had only visited the Center Point location and hadn't made revisiting enough of a priority. 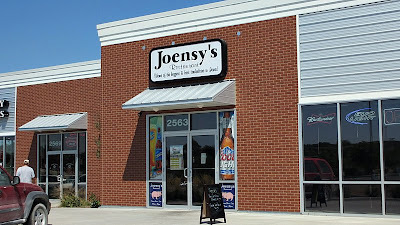 The convenience of the Iowa City location made a visit incredibly easy while driving through Eastern Iowa. 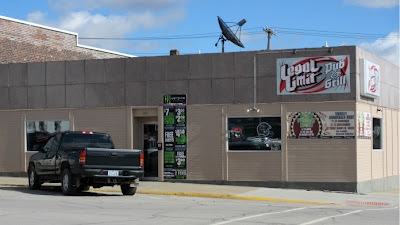 Location: 2563 N. Dodge St in Iowa City in Eastern Iowa, its just 9 miles south on the road from the original location in Solon. Directions: This is just a half a block off the Interstate at the Highway 1 North Dodge St. exit north of Iowa City. The Tenderloin: This is big but it felt like just over the usual eight ounces that most places pass off as a "jumbo" tenderloin. 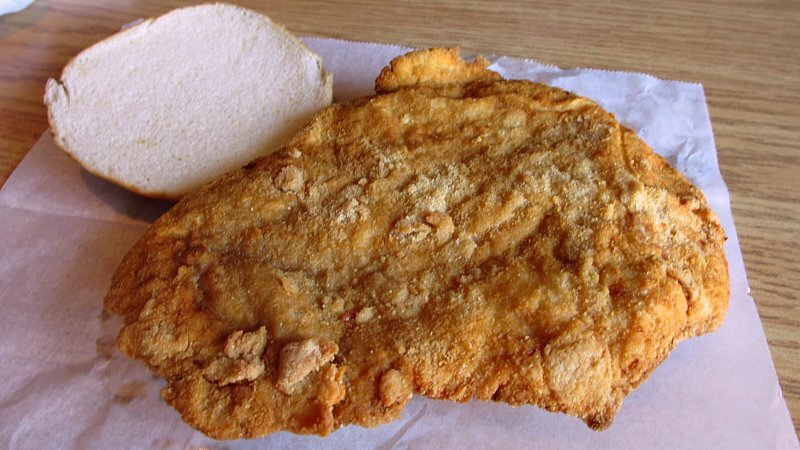 The very white meat is meticulously trimmed of all fat in my sandwich, while also a consistently tenderized and thin meat texture.. The interior would best be described as "steamy" but not juicy while very hot. I really couldn't taste anything in the breading, it was thick in parts where the dryness and crumbliness became a factor. Served on untoasted bun with basic fixings free. Overall 7.0 out of ten. 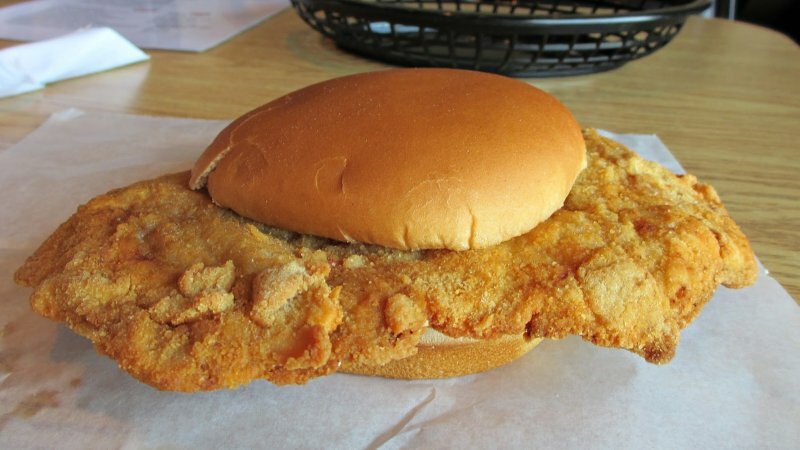 Also on the menu: The Tenderloins are available grilled or breaded and with a giant choice of topping which don't look all that special. 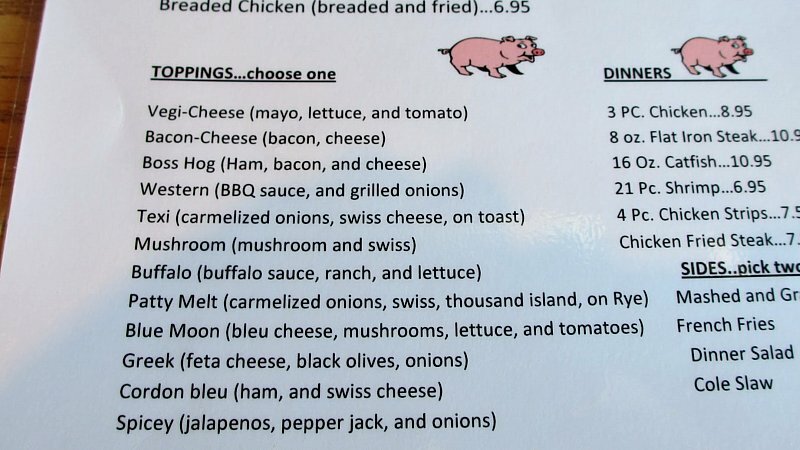 I understand the need to upsell and get more revenue per item but these topping just didn't look worth trying. 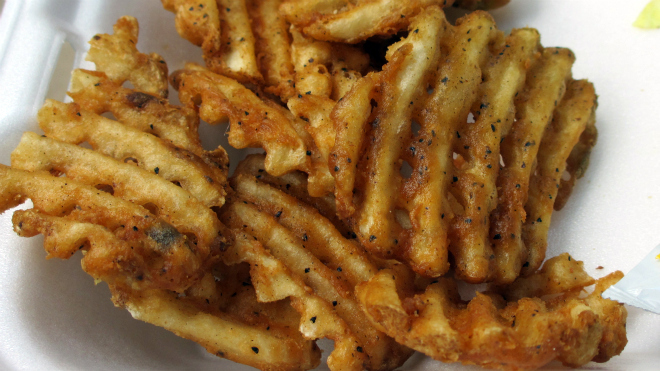 There are also salads, steak and shrimp baskets, and other sandwiches. Service: I walked in at lunch time and there was some quick table service. 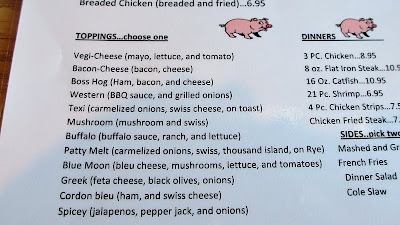 The counter is an option for to-go orders. Ambiance: Strip mall ambiance with tables and booths for seating. The walls had mostly sports themed or beer graphics. 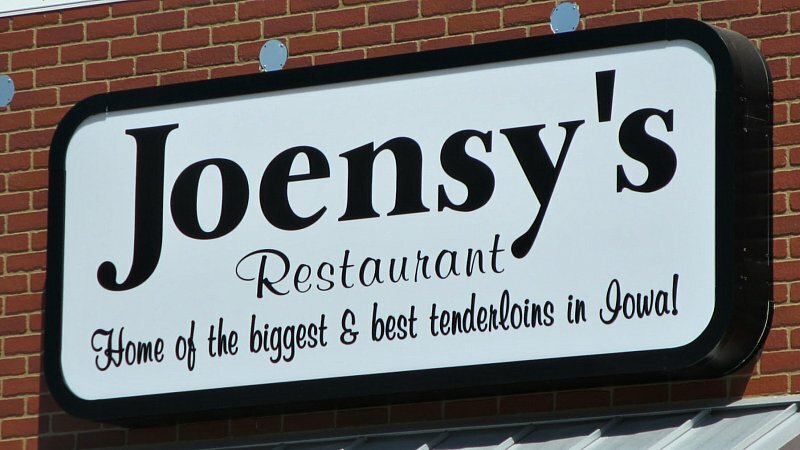 Final Thoughts: Joensy's goes way back, and its Solon location was a destination for Iowa City and Cedar Rapids people for years. 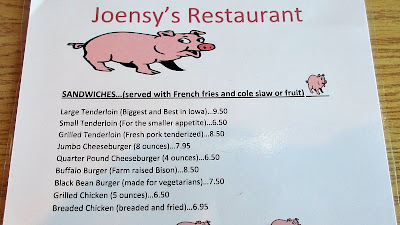 The claim of Biggest and Best Tenderloins drew plenty of visitors but I don't know how many were regulars or just passers by. Its almost a sign of the times that a microbrewery could afford to buy out their old building, raze it to the ground, and construct a new one in its place. 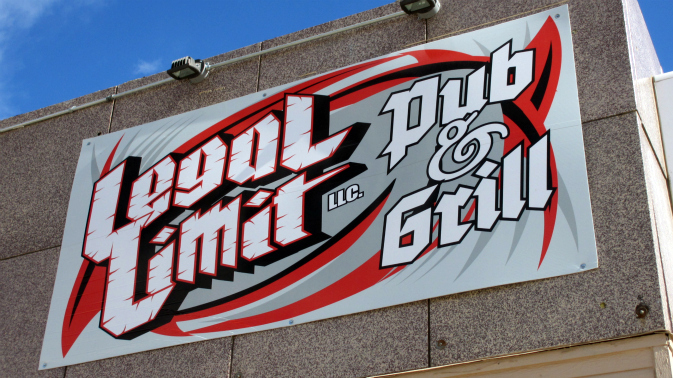 The attentive manager told a few patrons about Hawkeye football players stopping in recently, that might explain some things.